The lands surrounding the modern town of Mała Nieszawka were granted to the Teutonic Order in 1230 by duke Konrad Mazowiecki (Konrad I of Masovia) and supposedly included a fortified keep of Nissoue. The stronghold maintained an administrative role – as the Commandry seat – since the mid-thirteenth century. In the second half of the 13-th cent. it was transformed into a a small brick castle typical for Teutonic conventual castles. This commandry castle in Nieszawka existed until 1422 when it was deconstructed as part of a peace treaty between the Kingdom of Poland and the Teutonic Order. another settlement called Nieszawa emerged a couple of kilometres upstream Vistula as a Polish town with an own castle. Excavations in the 70s and 80s of the 20th cent. (J. Janikowski, R. Domagała and R. Uziembło) focused mainly on the central building of the castle. It was built on a square plan with the side of approx. 35 m on the platform with interwalls, surrounded by a moat (19 m wide, depth of 5.5 m). The entrance to the castle was located on the north and ran across the bridge to the gate. A cobblestone courtyard was located inside, surrounded by four wings of castle building. Historical sources indicate that there were utility buildings located within the inner ward including stables, barns, sheepfolds, pigsties, barns, bath, coach house, a mill, bakery and brewery. As a result of the Mełno peace treaty signed by the Kingdom of Poland and Teutonic Order, the castle was thoroughly dismantled by mid-1424 AD. The lands on the west bank of Vistula went back under the rule of the Polish Kingdom, and on May 29th, 1425 the Polish king issued the location document of New Nieszawa (presently referred to as Old Nieszawa), 3 km east of the former commandry, in vis-a-vis another Teutonic city – Toruń. 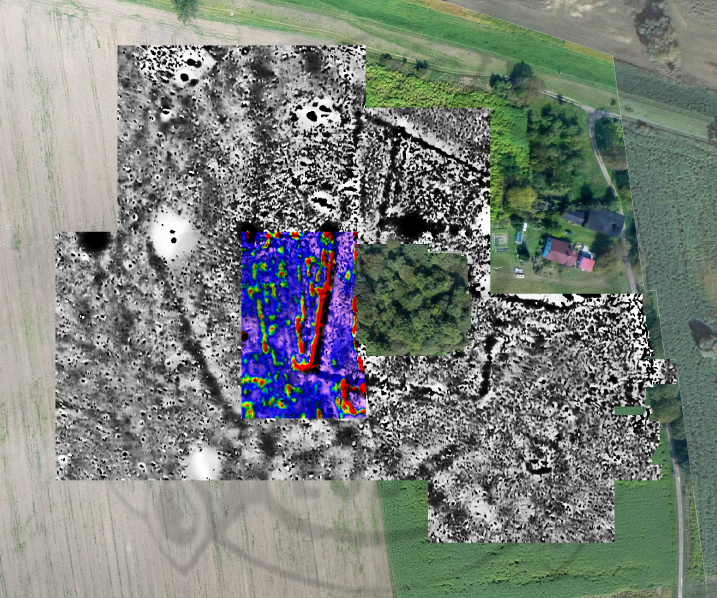 The Scientific Association of Polish Archaeologists, Łódź branch (SNAP Łódź) conducted a research project “From Nieszawa to Dybów – non-invasive prospection of the archaeological landscape between Mała Nieszawka and Dybowski Castle”. The concept of the project involved the recognition the internal spatial structure of the studied archaeological sites without the need for destructive excavation activities. 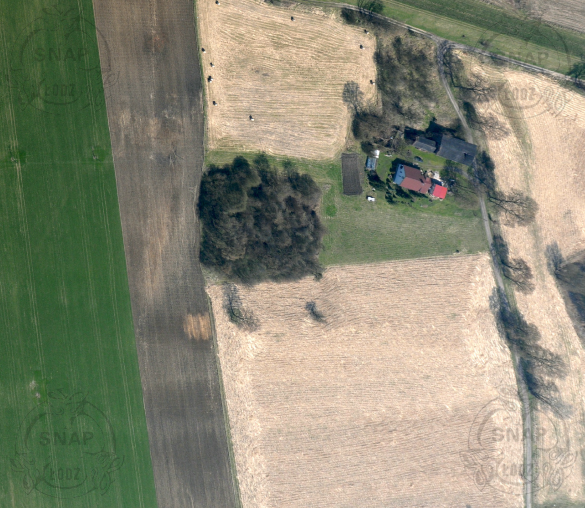 The study consisted of an application of non-invasive prospection and documentation techniques such aerial photography, LiDAR data, archival photographs, geophysical and geodetic measurements. 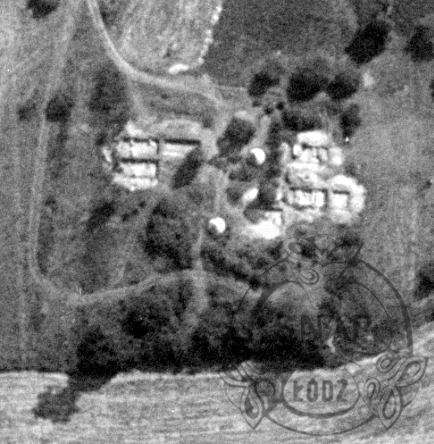 Aerial prospection was carried out in the area of the west bank of the Vistula river from the village Mała Nieszawka to the Dybowski Castle. 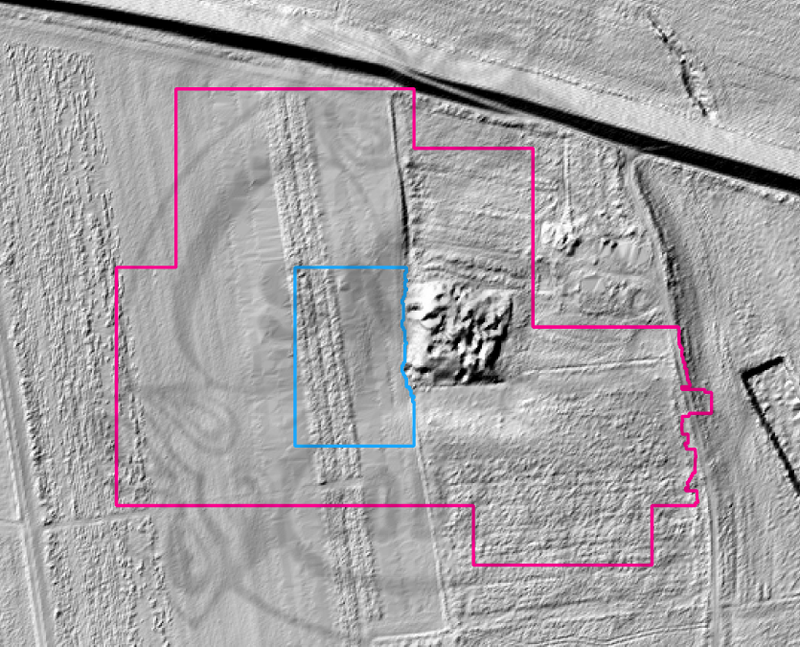 Aerial images showed soil- and cropmarks west and south-west of the commandry castle – in its immediate vicinity. This was a direct premise to undertake wide-field surface prospection using geophysical methods. 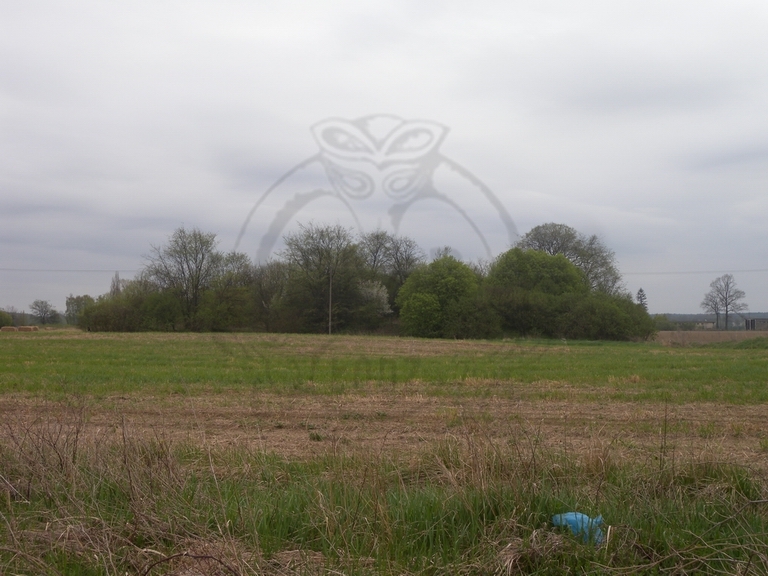 Magnetic measurements around the Teutonic castle in Mała Nieszawka revealed numerous anomalies in the vicinity of known stronghold relics, that have been excavated in the 70s and 80s by archaeologists from Museum in Toruń. Magnetic survey captured a number of linear disturbances, testifying to the existence of underground remains of previously unknown fortification structures. 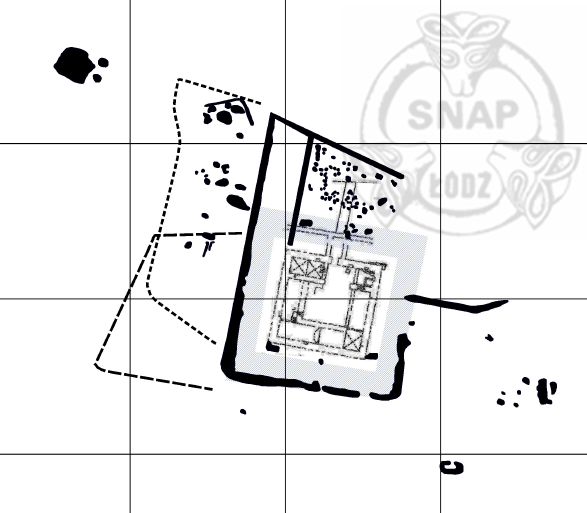 In the northern part of the fortifications anomalies were registered indicating the probable outline of the internal courtyards (separated by interwalls) within the complex. Earth resistance measurements were conducted in the place of observable soilmarks and magnetic anomalies. A linear zone of increased higher resistance was revealed covering much of the observed magnetic anomaly revealing the existence of moats (filled with earth and pushed off brick rubble) and the remains of compact structures (walls). Geophysical anomalies indicate the existence of fortification relics, registered on a trapezoid outline with longer sides of approx. 170 and 140 meters and shorter of approx. 110 m long embracing an area of 1.7 ha. To. This is because of the inaccessibility of the area due to modern development. In addition to the anomaly interpreted as the main outer fortifications there are two adjacent zones registered to the west. They are indicated by a linear cropmark together with a magnetic anomaly and indicate transformations and use of the area in the past. The commandry castle had a complex system of fortifications, characteristic for Teutonic castles from this period, covering the area of approx. 2 ha. It was surrounded by a moat aided from outside by a fortified wall. On the north side a partially overbuilt ward was located, with adjacent presumable utility zones to east and west. The castle in Mała Nieszawka was the seat of the first Commandry of the Order established on Polish soil. From there the Order undertook its first expeditions that lead to the conquest and colonization of Prussia. The Nieszawa Commandry played a recurring role in the Polish-Teutonic conflict. After the unification of the Kingdom of Poland by king Władysław I Łokietek (Ladislaus the Short) it become a sensitive border area. The castle’s garrison, along with the rest of the Teutonic forces joined in battle in 1410 at Grunwald and its commanders were killed during the First Battle of Tannenberg. After this solemn defeat the castle was occupied by Polish forces. King Wladyslaw Jagiello stayed at the castle in the period between late September and October of 1410 with his troops. According to the Treaty of Mełno (September 27th, 1422), after another period of armed conflict between both states, the Order lost all possessions in the Kuyavia region, including the Nieszawa district. The Teutonic Knights were forced to tear down the castle in Nieszawa and thus dissolve the entire commandery there. The demolition of the castle in 1424 enabled the foundation of New Nieszawa (now called Old Nieszawa), starting another chapter in the history of the wandering city.